12 inches by 18 inches. Digitally printed on 80lb speckletone cardstock, signed by the artist,Grego. Ships Worldwide. 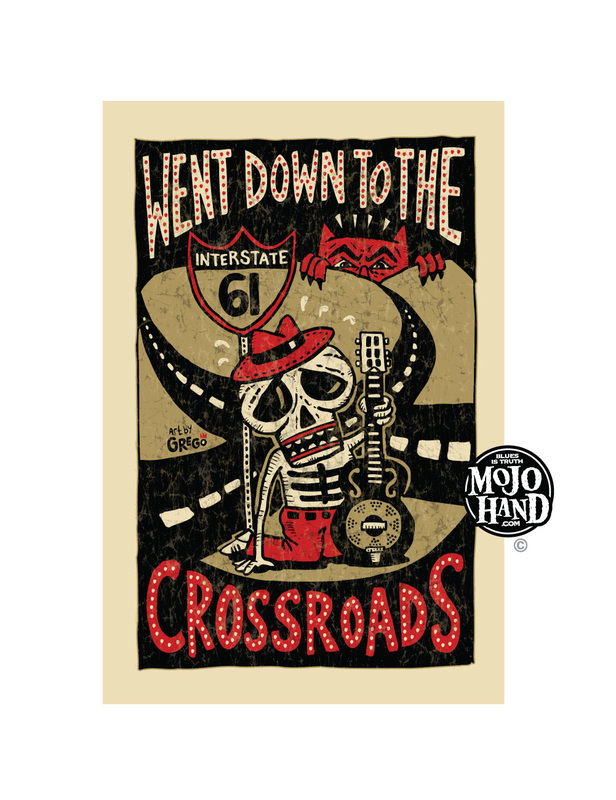 The striking image of the Crossroads, where a Blues man could sell his soul…. get yours today and get some Delta Blues mojo on your walls. Also available as a T-Shirt here.